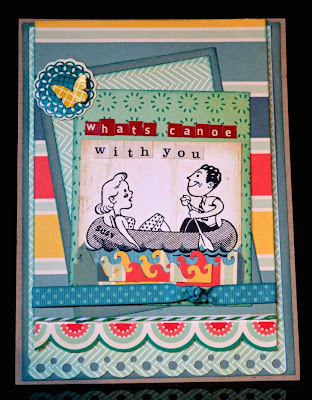 I loved it and used it to make this card that says: What's canoe with you? 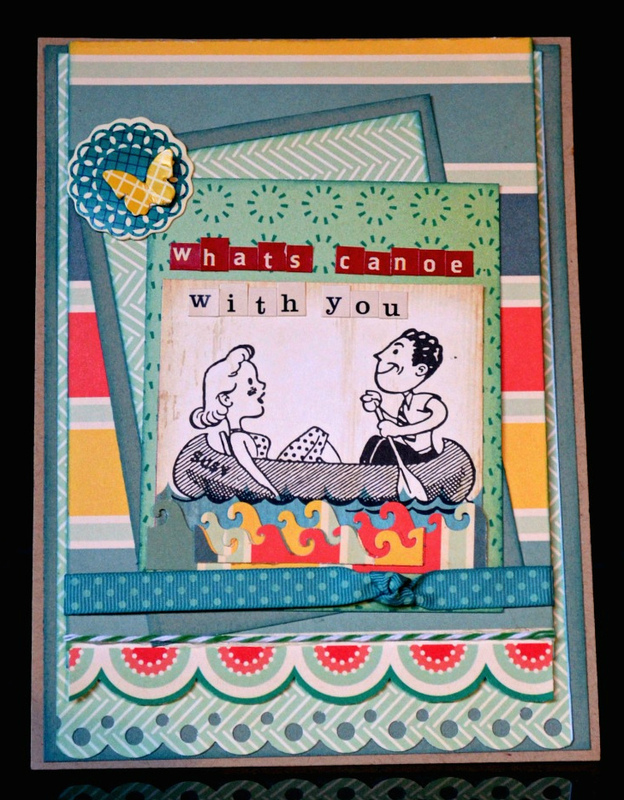 I used patterned paper from Cosmo Cricket's new Clementine line, mixing in a bit of Salt Air, an image from Snorkel's element cards and a die cut circle and butterfly from Social Club. The alphas are CC's Tiny Type. The card has a lift-the flap element. 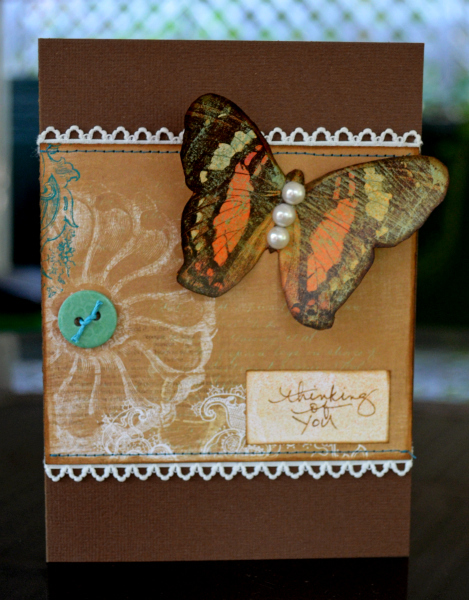 The top flap is the striped paper down to the red and teal scallops. If you lift the flap at the scallops, the card reveals a journaling spot where you can write your own note to the recipient. Would you like to play along with the card challenge? Visit the Cosmo Cricket blog for details. Entries are due on Aug. 27. 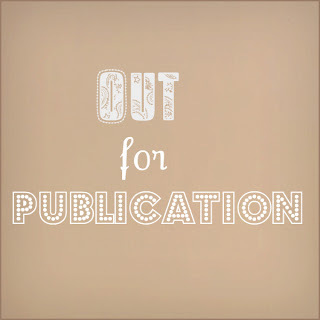 Cards magazine will choose one entry to feature in an upcoming issue. This is my friend’s little girl last Halloween. Isn’t she the sweetest? 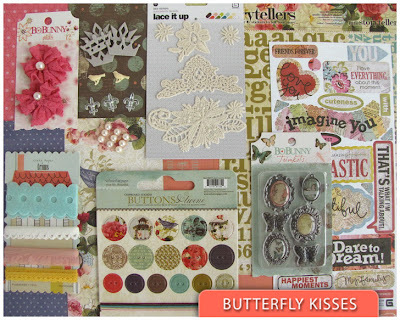 I used Bo Bunny's Gabrielle papers here with embellishments from Basic Grey's Out of Print collection. 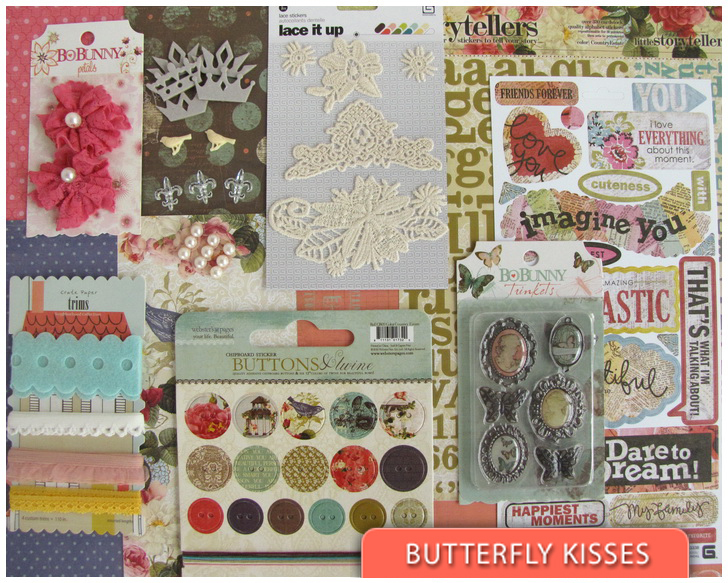 I misted the lace sticker above the photo to match her outfit and used ink and stamps to re-color the large die-cut butterfly, which is shell colored in the kit. The letter stickers are from Webster's Pages. 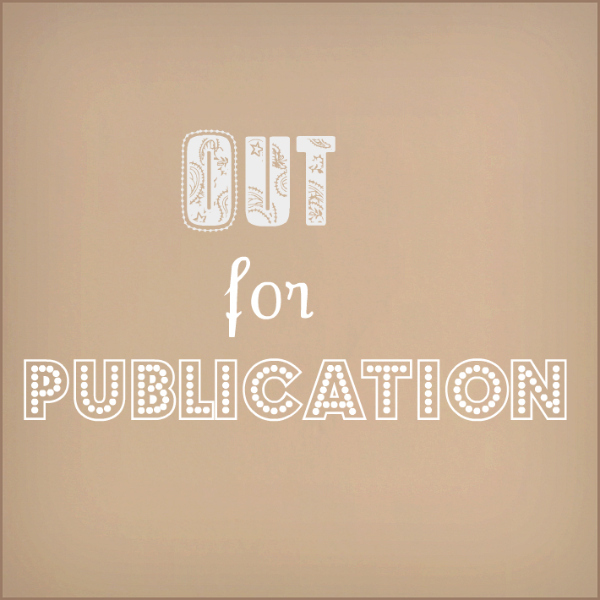 Here’s a closeup of the titlework. I don't normally put the title at the bottom of the page, but it fit the design here and allowed room at the top for the butterflies to roam free. While I had this Bo Bunny line out, I though I’d make a card. 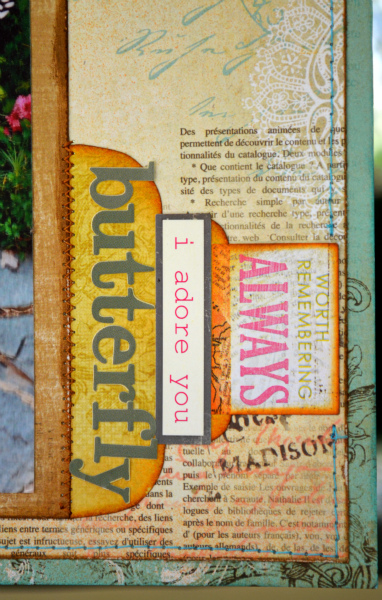 I fussy cut the big butterfly from one of the patterned papers, inked the edges, then “painted” it with Claudine Hellmuth’s multi-medium matte. I love that stuff. It is similar to modge podge but isn’t as wet or shiny. The multi-medium helped to stiffen the butterfly a little to give it more body and also allowed me to mold the wings up a bit. I added some pearls from the kit to the butterfly’s body. To make the card base, I used a premade 5x7 notecard from American Crafts and cut a piece of pp for the front. I sewed it on, tucking in a border of lace from the Crate trim card in the kit. 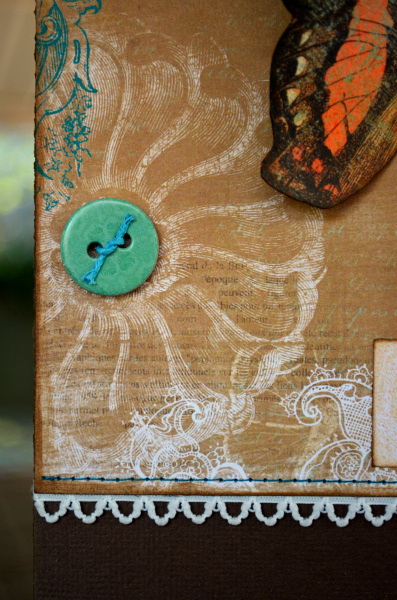 To finish the card, I added a Webster's button tied with twine (also in the kit) and stamped a short sentiment.